JJ-CCR is undoubtedly one of the world’s most renowned Rebreather. 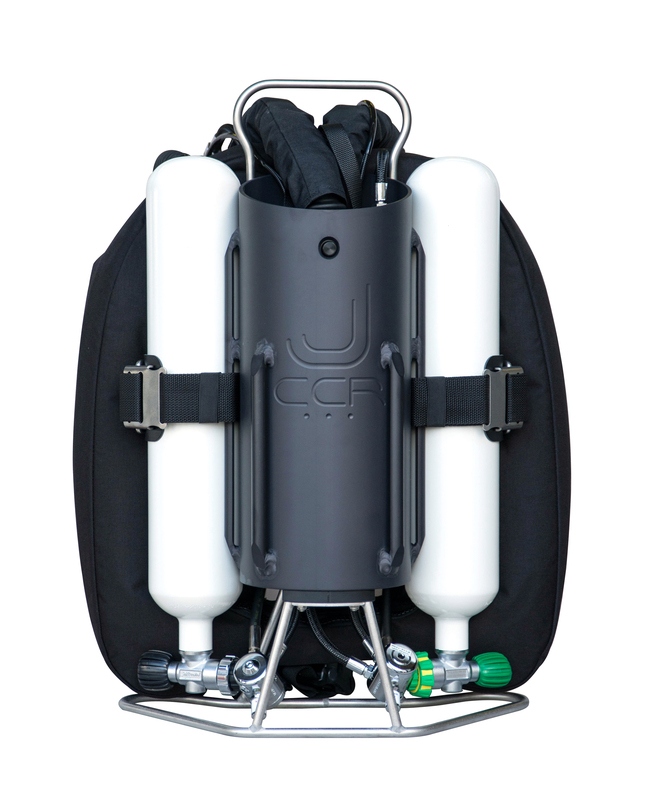 It is a device that combines simplicity with the endurance and reliability required by every diver. Thus it is superior to many other devices that, due to their complexity and specialized construction, create additional assembly, checking and adjustment problems. The JJ-CCR features the ultimate Shearwater electronics on a CAN-BUS platform, making it ideal for everyone. The durable aluminum canister, stainless steel base and handle and rear-mounted counter lungs make it easy to use and maintain. At Aqua Team you can see the JJ-CCR and, of course, have a test dive with us. Aqua Team is the only company with a JJ-CCR-approved instructor and is of course a JJ-CCR vendor in Greece. JJ-CCR courses take place all year round on an individual basis and for every level of certification up to Trimix. Diving with Rebreather is a unique experience! JJ-CCR Rebreather diving is the ultimate experience and one-way experience for those who want to dive by doing long-diving or deep diving. For information on Aqua Team programs, please contact us.